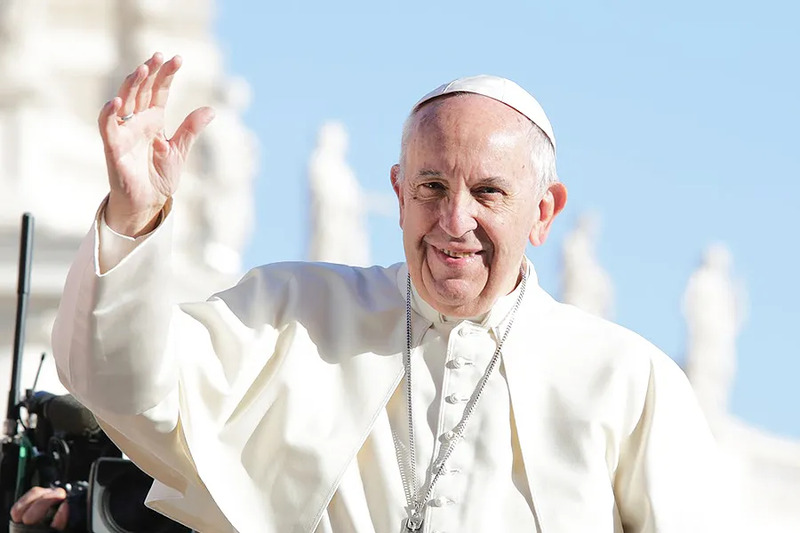 Vatican City, Apr 20, 2017 / 10:33 am (CNA/EWTN News).- Time Magazine has released its 2017 list of the world’s 100 most influential people, and Pope Francis is among the leaders highlighted by the publication. The nomination included a brief reflection on Pope Francis, written by Cardinal Blase J. Cupich of Chicago, who reflected on the Pope’s humility, saying that his powerful witness is what attracts so many people to his message. “That is where God is working in the world and where he calls us to be. This has rung especially true this year, as Francis has spoken out on the need to welcome refugees amid a global crisis,” he continued. Other people on the Time Magazine list include U.S. President Donald Trump, actress Viola Davis, Amazon CEO Jeff Bezos, NBA star LeBron James, and Russian President Vladimir Putin. Vatican City, Oct 12, 2017 / 11:39 am (CNA/EWTN News).- Pope Francis sent a video message Thursday for the 300th anniversary of the discovery of the statue of Our Lady of Aparecida, whose simple smile, he said, is a source of encouragement even during the most difficult times. “The simple smile of Mary, which we can see in her image, is the source of the smile of each one of you in the face of the difficulties of life,” he said Oct. 12. 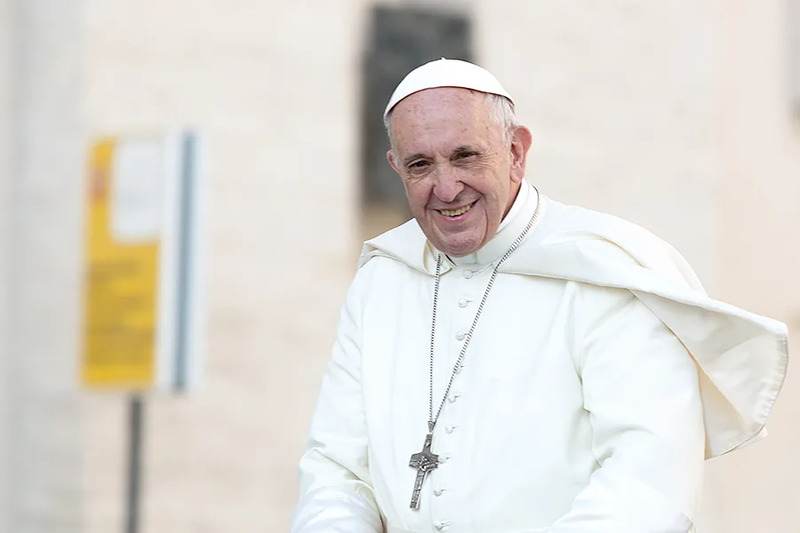 Recalling his first international apostolic visit, to Brazil in 2013, Francis said that visiting the Shrine of Our Lady of Aparecida in São Paulo was an occasion of joy and grace for him. The Pope’s video message was sent to the people of Brazil Oct. 12 for the celebration of the 300th anniversary of Our Lady of Aparecida, the country’s patroness. “What I leave here are simple words, but I want you to receive them as a fraternal embrace at this time of celebration,” he said. The story behind the feast involves a clay statue of Mary Immaculate that was caught by three fishermen in Brazil in October 1717 while they were preparing for a feast dedicated to royalty passing through the town. Guarantinqueta, a small city along the Paraiba River, was expecting to receive the Count of Assumar on his travels to a gold mining site in Vila Rica. The feast required a vast amount of fish, but it was not the right season and weather conditions proved challenging. After a night of fishing, the men caught nothing. Having prayed to Our Lady of the Immaculate Conception, the fishermen caught in their nets the body of the statue and then the head. After the statue was brought aboard the boat, the men decided to pray to “Nossa Senhora da Conceição Aparecida” – Our Lady of the Appeared Conception – to help them catch the fish. Their nets suddenly became very full, and the catch has been considered a miracle. This miracle encouraged them to have confidence in God, Pope Francis said. With that miracle God surprised them, for he “who created us in infinite Love always surprises us,” he underlined. At the beginning of April the Pope had sent a letter to Brazil’s president apologizing for his inability to visit the country in 2017. President Michael Temer had invited Pope Francis to visit Brazil for the 300th anniversary of the Marian apparition, and in 2013, Francis had expressed the desire to visit during the anniversary if possible. 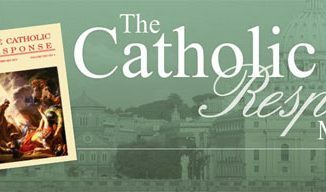 Instead he nominated Cardinal Giovanni Battista Re, vice-dean of the College of Cardinals, to be his papal delegate for the Oct. 12 celebrations. “To him I entrusted the mission to ensure the Pope’s presence among you!” he said. Though not able to be physically present, he expressed the wish that his affection be felt by the people of Brazil, devoted to the Mother of God. Closing his message, the Pope thanked the Brazilian people for their prayers, especially at Mass, asking them to continue to pray for him, knowing that he is praying for them as well.